James Brien Comey: How did the FBI Director make #1 on America’s “Most Wanted List”? Investigations into the financial holdings of James B. Comey and former FBI Director Robert S. Mueller reveal astounding conflicts of interest. These relationships would have stopped anyone else from being offered the top law enforcement job in the country. Comey also served as chief counsel for Bridgewater Associates, the largest hedge fund in the world. In 2012, Comey’s Bridgewater salary was $6,632,616 just before taking over the helm at the FBI. In his first year at the FBI, he received another $3.3 million in Bridgewater severance cash outs. A year later, his net worth jumped up to $34 million. Comey also disclosed direct holdings in IBM Eclipse Foundation members: Verizon, Intel, Emerson Electric, Microsoft, Qualcomm, AT&T, Apple, HP, Morgan Stanley, Lockheed Martin, JPMorgan, Wells Fargo, none of which has ever been disclosed or caused him to recuse himself in any case. Comey was a director of the London money launderer extraordinaire, HSBC. Even the Clinton Foundation website boasts about HSBC donations. This fact alone disqualifies Comey from involvement in any Hillary Clinton investigation. Robert Mueller’s salary went from $1.8 million in 2001 to $7.0 million in 2011. Mueller held Defenders Multi-Strategy Hedge Fund LLC and Mellon Optima L/S Strategy Fund LLC. These “funds of funds” invest in other hedge funds. Mueller’s exclusive funds were not open to the public. The minimum investment in several of the funds of funds is $10,000,000. But as HSBC whistleblower Hervé Falciani revealed in 2015, many are secret havens for money laundering, arms trafficking, and tax evasion. Both Mueller hedge funds were managed by Mellon Bank of New York (BNY). No less than ten (10) BNY directors were shared between Mueller’s Defenders and Mellon Optima funds. Tellingly, the FBI never prosecuted any of these BNY Ponzi schemers associated with Mueller’s Defenders hedge fund or Comey’s actions with Bridgewater. Now here’s the second excerpt which delves even more deeply into Robert Mueller’s professional proficiency in the “cover-up” department. Mueller was also involved in covering up the Noriega, BCCI, and BNL banking scandals of Bush Senior. Mueller worked closely at several points with Larry Potts, the former Deputy Director of the FBI, who was kicked out of the FBI for lying about the FBI having Vickie Weaver murdered. 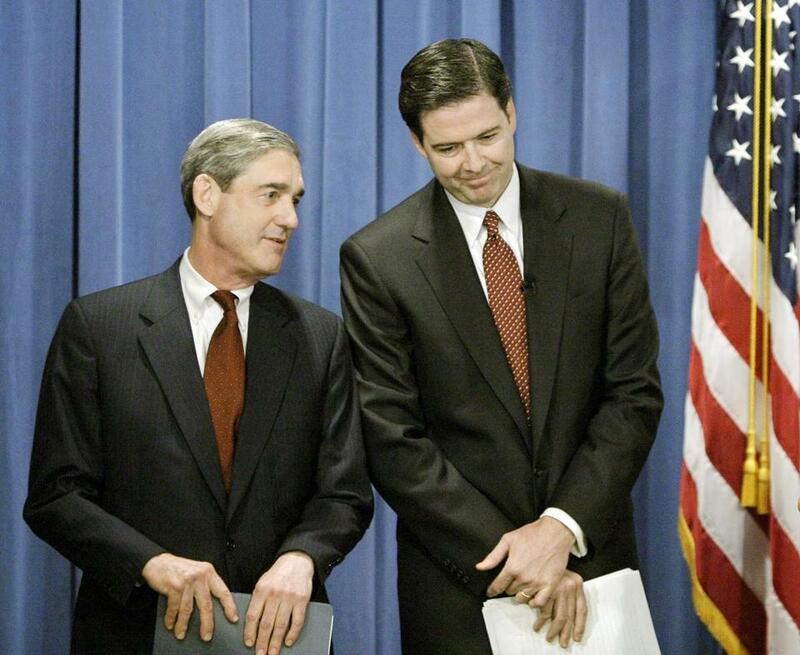 Congress investigated Mueller’s and the FBI’s handling of memos from FBI agents Coleen Rowley and Ken Williams before the 9/11 attacks about the Bin Laden and Al-Qaeda connections to hijacker pilots training in the U.S. Mueller’s ties to the Saudis and BCCI are especially troubling because the FBI had been ordered not to investigate Saudi businessmen, Saudi Royals, and government officials that had been backing Al-Qaeda, Hamas, and Bin Laden in their efforts to attack the U.S.
Mueller was Acting Deputy Director of the DOJ from January through May, went home for a month and was then nominated to head the FBI. 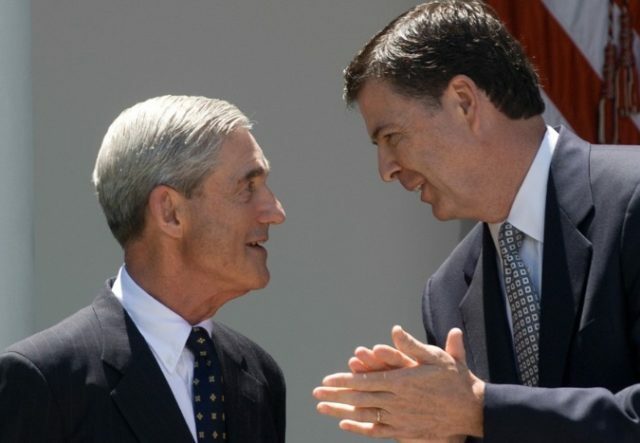 The Judiciary Committee and the Senate acted on Mueller’s nomination and within 2 weeks he was confirmed, but then it took over a month to swear him in as FBI director, just in time for the 911 attacks creating plausible deniability for the new director. See our article below for more details on how 9-11 was planned and implemented by United States citizens, including many names that have been mentioned already: TREASON: WHO TERRORIZED AMERICANS AND THE WORLD ON 9-11? By every indication thus far, Robert Mueller was the first choice of Deep State to further the soft coup against the Trump administration. His extensive “insider” resume reflects an intelligence community operative who is willing to protect the system at all costs. There is very little in Mueller’s background that reflects any degree of personal honesty or professional integrity. By all appearances, he is a hardened agent of Deep State willing to provide a deceptive veneer of respectability to the totally corrupt institution known as the FBI. Hence, as the perfect political pawn that he surely is, the nation is likely to witness a soon-to-be corrupted investigative process…and ongoing witch hunt. Obviously, President Trump knows all about the very cozy Comey-Mueller relationship. Let’s see what kind of a web of deceit the special counsel weaves in order to falsely impugn the administration. Clearly the POTUS is now in the crosshairs like never before.